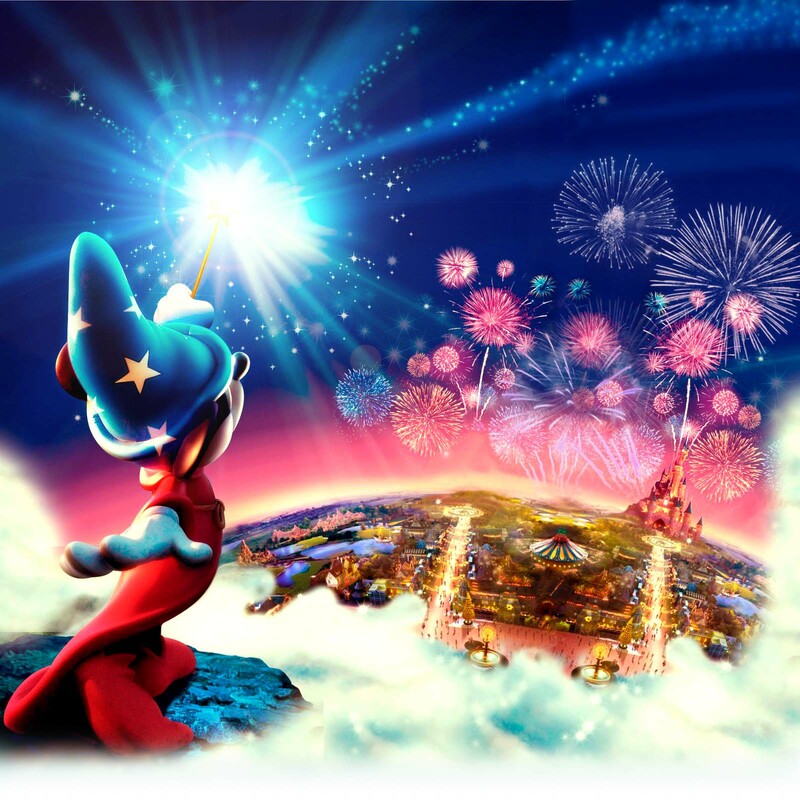 Mandas Disney Blog: Disneyland Paris Family Traditions! and those of you just hopping aboard. I am the final stop on our Magical Blogorail! 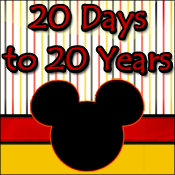 This week members of Magical Blogorail Black are writing about Disney Family Traditions! 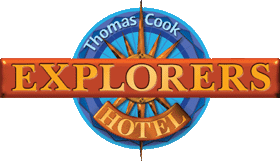 Every time I've been to Disneyland Paris with my Family, we always stay at the awesome Thomas Cook Explorers Hotel! 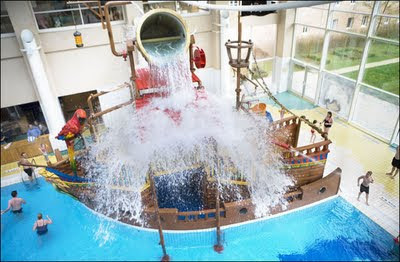 It might only have 3 stars but this is a fantastic hotel! Whilst it's not a Disney hotel, it's what is known as a 'Disney Selected Hotel' ... and the theming is definitely to the Disney standard! Welcome to the French Mansion of Sir Archibald de Bacle, the legendary explorer! Inside, journey to the four corners of the world to experience mystery and adventure! 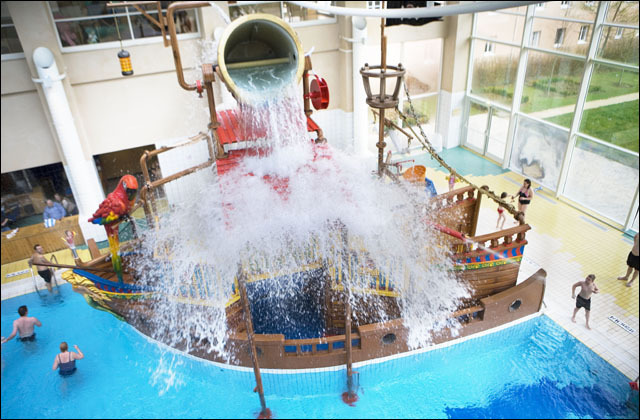 The Explorers is amazing for families ... just check out the pool! And this is only one corner of it! It has 3 slides and is open from 8am-11pm! 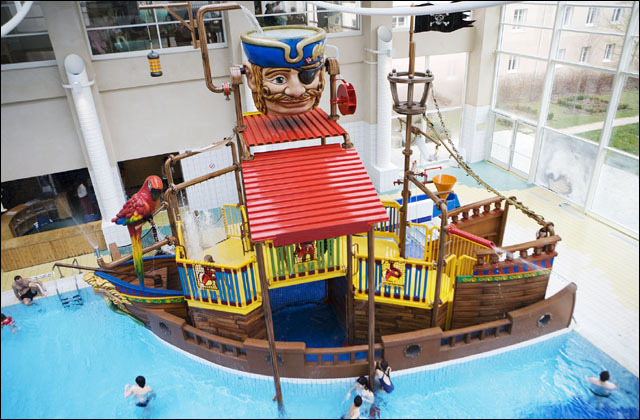 There's also a Disney Boutique with souvenirs, clothes, toys, stationery, cuddly toys, postcards, baby-care items and photo accessories, a 24 hour reception, free wi-fi, 3 restaurants, 2 bars, and kids playgrounds! Another cool thing about the Explorers is that you have the option of staying in a themed suite! 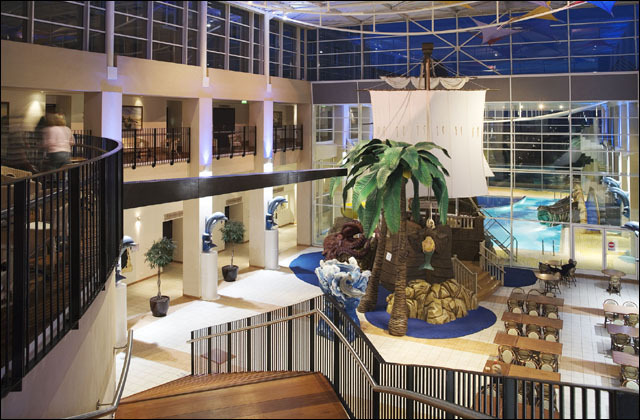 A glittering Planet Hollywood Suite, a Jungle Suite, and the cleverly named Sweet Suite! I haven't been lucky enough to stay in one yet but check out these photos! Thank you for joining Magical Blogorail Black this month! We will be back October 11th with an all new theme. Keep checking in with our blogs in between loops to keep up to date with our Disney info, photos and stories. If you are looking for more Disney magic, you can make your way over to The Magical Blogorail website to see all our members and their blogs, as well as all our previous loops. That hotel looks very cool! 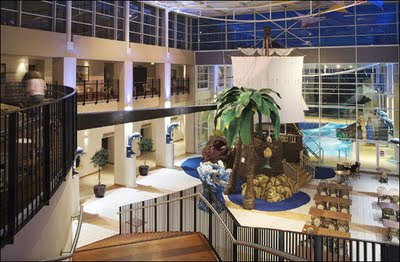 This hotel looks beautiful! 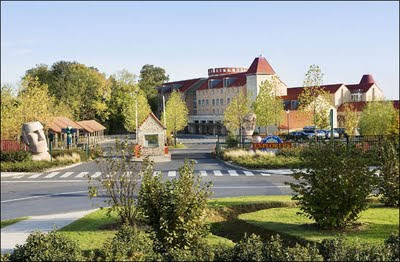 I have to say that I am a "must stay on property snob", but my feeling is that DLP is different. (Our walk from the Sequoia certainly took 15 minutes!) Will you be staying close to WDW when you visit? Looks amazing! I'm the same way at WDW - I love staying on property, but when I can save $$$$ off property, sometimes I just have to! the hotel looks so beautiful and I would love to see what goodies they have in the boutique..
That pool looks like so much fun! !